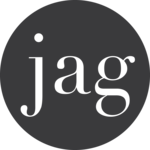 JustJag is a digital content provider specialising in learning and video All designed to inform, inspire and entertain with clarity, efficiency and flair. This report presents new evidence on the relationship between young people, social media and health. This course will give you the basic information you need to deal correctly and appropriately with the personal data. Evidence shows that research leaders want practical tools to help them lead and manage impact work.